When times get tough, the tough get innovative. That’s the heartening thing that has (at last) come out of the falling breeding and racing numbers and lack of financial returns over the past few years. The result is a squeeze that left many disillusioned and out of pocket. What has heartened me this past year is the more business-like and yet innovative way some players in our industry have responded. If the overall result is a rethink in how we organise and market the standardbred industry, then it will be well worth the pain. So here is a tip o’ the hat to the ones that I really like. Not all will be successful, but top marks for trying something outside the square. Real breeding incentives – a range of payment options, discounts available for fillies, loyalty discounts and other “deals” which were more openly advertised than ever before. Until now it was more a matter of how big you were and who you knew, but now even smaller breeders are offered some significant carrots without having to ask. Yes, it reflects the difficult state many stud farms are in, with such a competitive sire market for a shrinking number of mares. But it is a great shift away from days when breeders were treated like a captive market. Overall restraint on service fees – partly because of the competitive market, and partly a recognition by studs and sire owners that breeders just cannot afford such a high risk decision at such high prices, particularly for untried sires. Those breeding for the sales market have had a range of choices, including new sires or consistent sires whose service fee will leave a bit more room for (hopefully) a return on the investment. Addington breeders bonuses – at last, thanks to NZSBA and Addington Raceway, breeders have the opportunity to get some additional return from horses that perform well on a track – but not just those that are racing at the elite level. One other track has followed suit to date, and hopefully more will follow with some variations on the theme. It’s an idea that requires some serious thought about making it more consistent and sustainable. A real coup for breeders. Alexandra Park development plans – big, bold, imaginative and businesslike. Even better, the objective is to keep pouring more money into stakes. Stakes attract owners and encourage breeding, we all know that. ATC’s efforts to bring together all the clubs racing at Alexandra Park into one more businesslike structure. It failed this time around, and probably needs some tweaking, but the thought is there. Generation Harness – searching for ways to get younger people involved. Another great innovation from NZSBA. Growth in fillies and mares races – the opportunities are there now, it’s up to owners and trainers to use them or lose them. Getting good times and wins/placings for potential broodmares is a great way to broaden our breeding base for the future. Forbury Park Mitre 10 Dash for Cash – sure, the concept of two heats and a final over 1200m didn’t get the numbers required, but the idea was a good one. The one sprint race that did go ahead was exciting to watch and great for punters. In a way, it took tactics out of the equation. No dawdling. An option would have been to split the field into two, but the risk would be to lose out from the punting perspective which is where the money comes from. I give top marks to Forbury Park General Manager, Zelda Jordan for coming up with the concept and I hope she pursues it again. I’d love to see other clubs give it a go, but with perhaps more warning so trainers can build it into their training programme. Those are my favourites from an industry perspective over 2013. Right now, I’m off to watch a huge day of racing at Alexandra Park – stunning fields, good weather, and great stakes. And even a horse I bred racing in one of the big ones. Magic! I’ll be putting my feet up at home in front of the TV, cold drink at hand, racebook on lap. Cheers! Let’s do it all again, but better, in 2014. Thephantomtollbooth is a strapping yearling colt I’ve bred, by Real Desire out of Zenterfold. So he is a half brother to Tintin In America, Destination Moon and The Blue Lotus. 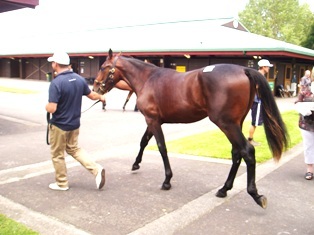 He’s headed for the yearling sales in February (Lot 39, Australasian Classic at Karaka). I can look out my window now and see him in the paddock. Time flies, it was just over a year ago when he was a wee foal born out at Breckon Farms – see my blog and photo from November 2012. I liked what I saw then, as I was wanting to add a bit more height and reach to my mare’s progeny this time, so his legginess was a good sign. I had noticed how Real Desire’s progeny often have that, which is something that gives the best of his stock that uncanny speed once they get going. It’s not quick sprinty speed, like Tintin had. It’s more reach and length of stride which takes a little while to get going, but creates high speed when it does. We are full into preparation now, and hoping to take photos soon. He is being prepared by Kym Kearns and will be one of two in the Isa Lodge draft. But in the meantime, here’s one taken in early November – he’s not “glammed up” at all for the photo, but it shows what a nice tall, strong type he’s turning into. It seems only yesterday he was an innocent little foal. What’s the name all about? The Phantom Tollbooth is a brilliant book by Norton Juster, written in the 1960s and sensationally illustrated by Jules Feiffer. It is a “children’s book” but has a devoted following around the world of adults and children. It was one of my favourites as a ten year old, and still is. It’s the story of Milo, a young boy who is bored with life. One day he receives a mysterious large parcel, which turns out to be a small toy car, a tollbooth, a map – and one coin. Which he duly uses…. and finds the tollbooth is the portal to a world of adventure, friendship and the formidable task of rescuing the princesses of Rhyme and Reason. It’s my hope that “Milo”, as my colt is nicknamed, will become a doorway to adventure and success for whoever buys him. The latest foal from Betterthancheddar’s dam Lady Ashlee Ann (see my last blog) to hit the tracks and win is by Shadow Play, a brown colt named High Flier who was sold in the Harrisburg 2012 sale to Dr Ian Moore for $37,000. That seems quite a cheap price for a colt from such a good family? Dr Ian Moore, enjoying the progeny of Shadow Play, a horse he owned and trained. 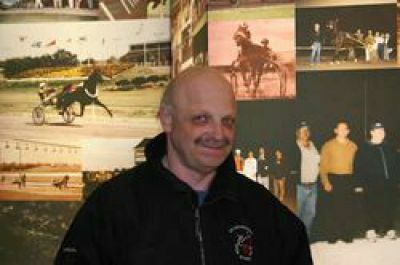 Dr Ian Moore was the owner/trainer of Shadow Play and a big fan of the horse, and ended up buying several at Harrisburg. The most successful to date is the very good Arthur Blue Chip, which he bought for $135,000. High Flier contested the 2013 OSS Grassroots series for an 8th, 6th and 5th result, but then went on to get his first win at Grand River Raceway, winning by over 13 lengths in 1:57.6. Like most of the family, time will be his friend. I’ll keep an eye on his progress. For those who, like me, missed them first time around, here are a couple of article that talk about Dr Ian Moore, Shadow Play and the progeny he bought. Harnesslink article Shadow Plays for real! It’s finest “Cheddar” made better! I’ve been promising a blog on Betterthancheddar for a while. Here it is, with a cheesy twist. The title of this blog comes from a very well known old advertisement for New Zealand’s Mainland cheese! It’s a blast from my childhood – sorry I can’t resist sharing this with readers from around the world. Like a good cheese, Betterthancheddar (Bettor’s Delight – Lady Ashlee Ann – Camtastic) took time. He is a result of his own unique conformation and attitude, his trainer’s ability and the foundation of his pedigree. He started racing as a 3yo, improved even more as a 4yo and was retired injured as a 5yo when looking as if he would improve yet again. With a 3×3 to Cam Fella, many would say that time might well be his friend. Apart from Kenneth J, he is the first really commercial son of Bettor’s Delight we have seen at stud “downunder”, or in North American yet. This blog isn’t about that, however. It takes the focus off the Bettor’s Delight connection and puts it back onto the maternal strengths and overall family inheritance that produed Betterthancheddar. What I see in his pedigree is the meeting of lovely maternal lines. It’s no guarantee that a champion will be produced, but it increases the odds of getting good horses more consistently, generation after generation. And in turn that increases the chances that some of them will be extra good. So this blog isn’t about which of our mares might ‘click’ with him. It’s about the female strengths that surround him, looking back and looking forward at them as producers and performers. Jef’s Magic Trick – the dam of Cam’s Card Shark (Bettor’s Delight’s sire) – refer to my blog on Michaels Power, which looks closely at this line. Bettorthancheddar’s trainer Casie Coleman was also the trainer of Michaels Power, by the way. Classic Wish – the dam of Bettor’s Delight – see my blog about Roll With Joe, and the input she has to their success. Camtastic as a broodmare sire. I don’t have new insights. This is a gathering of background information. Of interest to New Zealand and Australian breeders is that Lady Ashlee Ann is a daughter of Camtastic, who stood here for several years without much success. More about Camtastic and his dam Lushkara further on. Sired by 1987 Pacer of the Year and two-time Breeders Crown champion Camtastic, pacer Lady Ashlee Ann was bred by A. J. Gross of Manhasset, New York and was foaled on June 14, 1993. Lady Ashlee Ann raced from 1995-1997 and compiled a record of 28-8-5-1 with earnings of $95,481. Her major career victories came in a division of the 1995 Debutante Stakes and the 1996 Tarport Hap. The progeny that qualified Lady Ashlee Ann for the Hall of Fame are Breeders Crown, Ben Franklin, Cane Pace and American-National winner, world champion Betterthancheddar p,4,1:48f ($1,577,219) (sired by fellow 2013 Hall of Fame inductee Bettor’s Delight), Art Rooney Pace, Classic Series final and Tattersalls Pace winner Ashlee’s Big Guy p,6,1:50.4f ($978,168) (sired by fellow 2013 Hall of Fame inductee Life Sign) and Artist’s View p,5,1:49.4 ($788,811), sired by Hall of Fame Immortal Artsplace. To date, Lady Ashlee Ann has produced four fillies and nine colts, with eleven racing and earnings of $3,806,878. 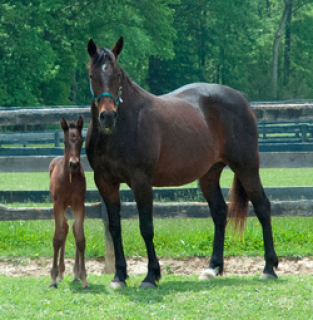 She is currently performing her broodmare duties for her owners at Winbak Farm in Chesapeake City, Maryland. So one of the first things that I see is that Betterthancheddar is no fluke. This is a family that is rock steady with performers including Lady Ashlee Ann herself. Lady Ashlee Ann’s dam is Preacher Edith (by Adios Vic, a very fast racehorse, only so-so sire, but good broodmare sire) who herself won 11 races as a 3yo and 4yo and left 6 of her 15 foals in 1.57. Her grandam is Keystone Sophie (by Tar Heel) who won $57,829 and produced some good fast performers including two by Cam Fella. From there the maternal family traces back to Knightland, a daughter of Lydia Knight and therefore a half sister to sire Knight Dream. The maternal family of Badlands Hanover also traces directly to Lydia Knight. As the dam of Knight Dream, Lydia Knight pops up in a number of classy pedigrees of sires like Abercrombie and Most Happy Fella and mares like Three Diamonds and in New Zealand in the maternal line of New York Motoring, and of course Knight Dream was the sire of Lumber Dream. Lady Ashlee Ann’s half sister Edith’s Girl is the dam of Parson’s Den, who stood as a sire for many years in Western Australia with considerable success. And her son Ashlee’s Big Guy (by Life Sign) has had a siring role in Maine, it seems, after being one of those durable and successful horses racing and winning from 2yo to 8yo for just a tad under a million dollars stakes. She was a good racehorse, sired by Camtastic from the Adios Vic mare, Preacher Edith. Lady Ashlee Ann took a record of 1:51.3 at age 3 and retired to the broodmare barn after her four-year-old season with career earnings of $95,481. She is also a full and half sister to eight winners, including five sub 1:56 pacers. But it was who Lady Ashlee Ann foaled that has earned her induction into the Hall of Fame. She has had 13 foals of racing age, one is a two-year-old getting ready for his first start, but of the other 12 foals, only has not raced and from the other 11, well her breeding record is one that may never get beaten. Let’s start with her first foal, BJ’s Squall in 1998. She took a record of 1:53.1 and earned $261,750; then came Ashlee’s Big Guy 1:50.4 and $978,168 in earnings, then three pacers that were just OK, but then Artist’s View 1:49.4 with earnings of $788,811 then three more raceway horses and then she dropped a bomb by the name of Betterthancheddar. He is only one of the best pacers currently in harness racing, has a record of 1:48 and earnings of $1.6 million which in all likelihood will surpass $2 million by year’s end. And just by chance, who might the sire be of Lady Ashlee Ann’s best foal, Betterthancheddar? Well it’s none other than the first half of Winbak Farm’s Daily Double induction into the Hall of Fame, Bettor’s Delight! But Lady Ashlee Ann’s story does not end so fast as she just had a foal on May 9, a colt and it’s sired by none other than Bettor’s Delight…anyone want to start the bidding for this foal in two years? Lushkara was a good filly taking a 1.54 record at 3yo. As well as Camtastic, she is the dam of Lush Limbaugh and several other daughters who have gone on to be good producers. This pedigree for one of her descendants shows the family in some detail. It is a family where speed and durability are features. Camtastic was a brilliant 2yo himself, but never left any speedy youngsters as a sire. He stood in New Zealand in the late 1990s and again in the early 2000s, with a year’s break in between which I can’t recall the reason for. The best of his progeny were stayers, definitely not speedsters. In my view (and I have a fondness for Camtastic, having owned a couple of his mares) he’s a sire that didn’t upgrade mares. But he didn’t downgrade them either. Sometimes it is a matter of timing, too. Camtastic would probably have relished In The Pocket mares, with their fierce will and speed. He just missed the main bunch of them, they came a wee bit later when he was already seen as a less commercial for highly rated mares, but the three he got turned out well. Over the years there have been some remarkably good horses (also mainly males and tough stayers) coming from Camtastic mares. Smoken Up is one of course, and (Mysta) Magical Mach another, but there are several who have proved good earners – and some of the sires who feature in those are Courage Under Fire (especially) and Christian Cullen who are both top sons of In The Pocket, Tinted Cloud (for Smoken Up) who is another son of In The Pocket, and Live Or Die (son of Die Laughing), who really seems to add that determination required to win. North American stats for Camtastic as a damsire indicate he had a 100% (12/12) hit with Artiscape mares, but that match was tried only once here for no result. What about Camtastic mares with Bettor’s Delight, the same cross as Betterthancheddar? The four or so Camtastic mares who have been to Bettor’s Delight here in New Zealand have not really performed well enough to indicate any special nick. So a Camtastic broodmare mare with good breeding or perhaps more importantly some real ability herself could/can be matched to sires that will leave speed and toughness, and now and then you get a beauty. Overall, I don’t think Camtastic adds or detracts from Bettorthancheddar’s pedigree, and it’s hard to know if Lady Ashlee Ann’s family’s previous success with Cam Fella indicates anything except it is a family with underlying maternal speed that can cross well with sires that add strength and durability. Of course Bettor’s Delight is a sire known for speed, and that was certainly the way to go for a Camtastic mare, no matter how fast she was herself. I think it is mainly the mares who are calling the shots in Betterthancheddar’s pedigree, with help from Bettor’s Delight, a sire than can really stamp his ability and his own traits in a way that Camtastic (and probably most sires who attempt a siring career) could not achieve. Betterthancheddar is standing at Alabar New Zealand at $4,500. Just a wee footnote: A grand-daughter of Lushkara is Lucky Yankee, by Western Hanover out of Lush Limbaugh. 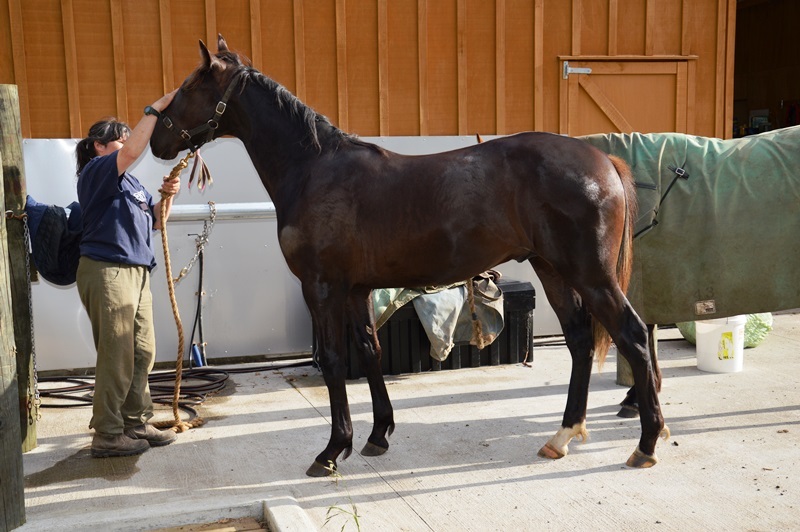 It looks like Lucky Yankee was imported to New Zealand by Cavalla Bloodstock for breeding. She is now owned by Davinia Harrison who has Lot 322 a colt by Christian Cullen out of Lucy Yankee in the yearling sale in February 2014. And you can see her other foals here at HRNZ Info Horse – nothing much happening yet, but it will be interesting to see what develops over time. The Sale of the Stars catalogue is out for the New Zealand standardbred yearling sales – and online of the PGG website/upcoming sales pages It’s always good to have a look through and pick out some trends and some interesting breeding choices – and I will start my usual run of pre-Sales blogs in early January, featuring lots that catch my eye. Time to check out how Ray, Sam and I are going with the 2012 yearling sale picks which are 3yos now. We are not making huge progress but we have a few with real potential and an interesting 6 months ahead. I picked mainly on type (seen at the Karaka sale). Sam pedigree and type. Ray picked on top families matched with top sires. Further update 9.20pm: I’ve just checked the Auckland Trotting Club fields for their premier day meeting on 31 December and I see that between us we have three picks at that meeting – Destination Moon in the PGG Wrightson Yearling Sales Open Final for 3yos ($250,000) , and Charleston Belle in the Alabar Sires Stakes Fillies Championship for 3yos ($160,000) (both drawn badly at number 8), and then Going To California on the supporting card race 11, a very nice field racing for $15,000. Kamwood Courage (Courage Under Fire-Kamwood Lass) – 1 start for a 2nd in May $1071, and exported to Australia mid year, yet to have a start there. Charlie Chuckles (Grinfromeartoear-Charioteer) – He got 2nd in his qualifying trial and also 2nd in a workout. One to keep an eye on, I reckon. Derringer (Bettor’s Delight-Bury My Heart) – Name changed to Strawberry Heart, and has had three starts for a formline of 3,4,3 and $1098. Destination Moon (Grinfromeartoear-Zenterfold) – Had an injury spell after his first win and has come back to racing looking stronger. Now 6 starts for 1 win and 2 seconds, $9220, and the trainer likes him a lot. I think my two Grins will give me some encouragement over summer, and I do like what I see of Strawberry Heart, who races locally with Sean McCaffrey. Going To California (Art Major-Child In Time) – Nice one, Sam and Ray! You both picked this yearling. Now he’s got 2 wins and 2 thirds from just 6 starts, and $10,333. Petite Royal (Monarchy-Petite Sunset) – 3 starts but 5,9,13 formline, yet went out favourite in the last start and looks like she is now stood down, so perhaps the manners will improve with time because it looks like the ability is there. Digital Art (Art Major-Wave Runner – racing but the formline is 4,7,0,7 and just $472. Romeo Denario (American Ideal-Presidential Sweet) – exp to Australia, and so far 1 start for 6th at Geelong. (My) Mach Scooter – (Mach Three-Gail Devers) – exp to Australia, now 6 starts but no improvement to the 1 win, 1 place $4125 record yet. On The Rantan (Bettor’s Delight-Funontherun) – renamed On The Town. Nothing yet. Correction, this is is the previous foal renamed Ohoka Cooper and to date 8 starts, 1 wins, 2 seconds, 2 thirds. Rattling Thunder (Santanna Blue Chip-Tammy Franco) – now qualified and showed up very nicely at workouts and trials in Sept/Oct. Worth watching. Charleston Belle (Christian Cullen-Elite Belle) – qualified well in October. Has 5 starts for 1 win and 1 third so far. $8783 and looks like she could do well. Gotta Go Artelect (Art Major-Elect To Live) – yet to qualify, hasn’t raced since her May trial where she went ok but none of them were fast enough to qualify. Nureyev (Christian Cullen-Idancedallnight) – showing up nicely in trails and workouts Nov/Dec and worth keeping an eye out for. The Pacman (Christian Cullen-Black Maire) – more trial starts including a win on 25 November so could be racing over summer? It shows again how hard it is to get an early return on investment, and that patience is the winner in many cases. Go to my blog of 25 March 2012 for my original picks and view the Responses/comments for Sam and Ray’s rationales for their picks. You can use the search function on my blog to find all references to the virtual yearling stables concept over the past few years. Will start a 2014 virtual stable in mid January and welcome your picks at that stage. So start looking at the catalogue! A one horse open neigh. 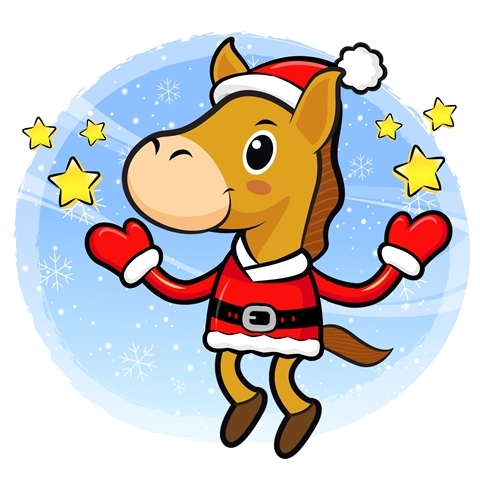 Merry Christmas to all b4breeding blog readers!